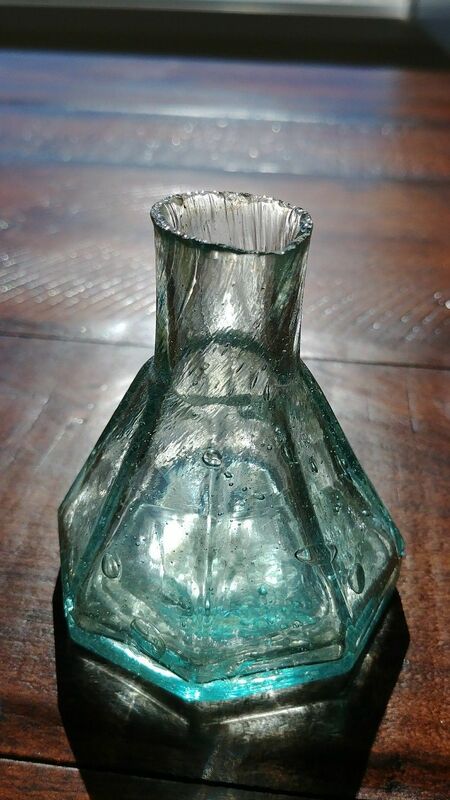 California Gold Rush dug pottery bottle . 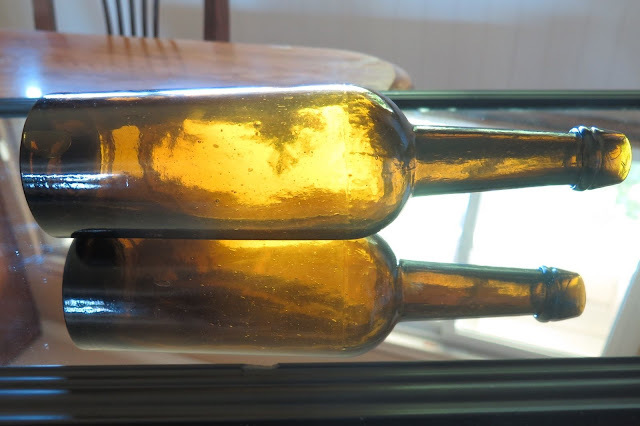 These were both dug in a very early mining camp that was settled in the Fall of 1848 and had its boom around 1856 . These two vessels were recently acquired from a old collector who dug them back in the 70s -80s. A fellow long time collector from Auburn and I both feel that this may be a marked water bottle for the famous San Francisco pioneer Asher Taylor . Hit an early hole last week and found this big quart size open pontiled med. I found out it's extremely rare and nobody has seen one like this. Super whittled and perfect except for some stain. Apparently this druggist was out of business by 1856. 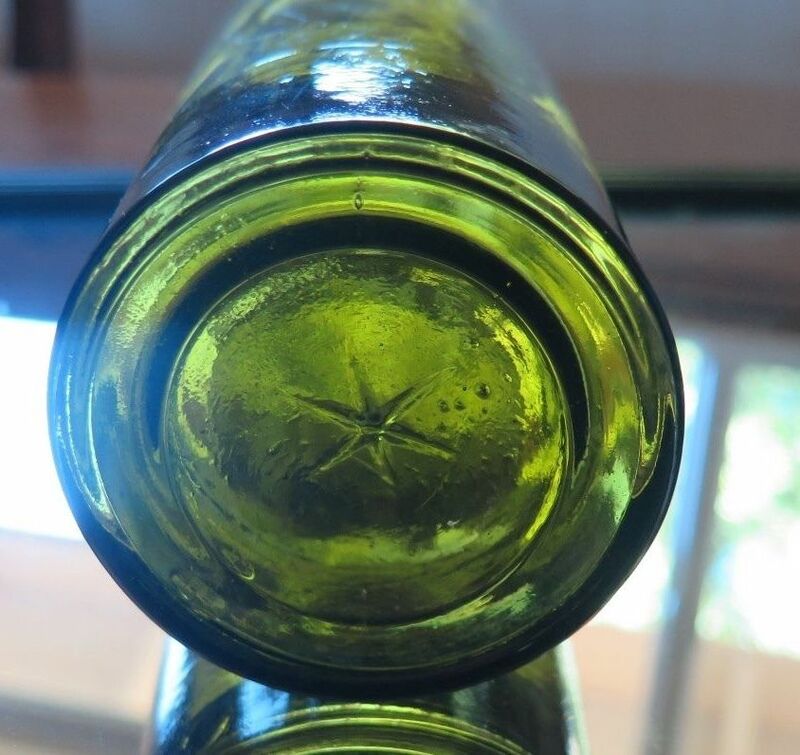 Always fun to dig this early glass intact. Does not happen very often for me. Nice Find! Anyone ever heard of this bottle? Here's a sample of some of the fine western bottles now being offered on ebay. 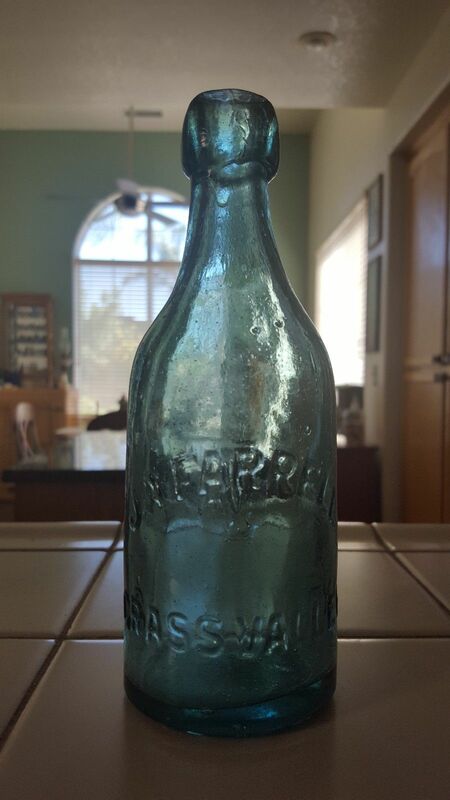 How rare can a common bottle get. Well, as we all know, color is king. No matter what kind of bottle it is. As for a colored pumpkin seed flask, they are very rare. This is a recent find and a first for me. I have seen over a dozen colored pumpkin seeds over the years, but far and few between. They just don't show up and collectors prize them, so they hardly ever come up for sale. I have seen ones in shades of amber and different shades of green, but never a yellow one. This one is an outrageous color. Has anyone else seen any wild colors in a pumpkin seed flask? Here is something interesting I just found. 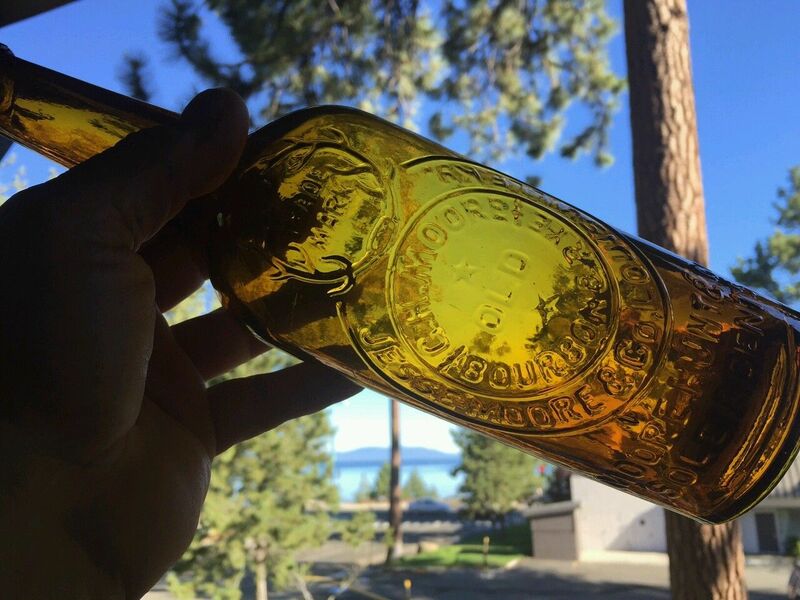 This advertisement establishes a date for the embossed Barbier Schnapps bottles being imported into California on August of 1857, as an empty, and that Barbier's Schnapps was "put up" here. It seems to imply that Barbier (like everyone else in the Schnapps business) was trying to copy Udolpho Wolf's packaging and that he may have been selling his schnapps or other products prior to Aug of 1857 as the add is intended to inform his patrons of the new bottles and packaging. Further, Mr. Semi's publication on this site of July 12, 2012 references advertisements for Barbier products as early as 1856 however if the embossed bottles did not arrive until Aug. of 87 than his schnapps must have been sold in bulk or in other bottles prior to this date. This advertisement was printed in the Sacramento Daily Union, Volumne 13, Number 2006, 31st of August 1857 - page 3, Column 1. Hopefully others more informed on the Barbiers Schnapps than myself can comment with further information.